Dr. Rahmani is available by appointment only. We will schedule your appointment as promptly as possible. If you have pain or an emergency situation, every attempt will be made to see you as soon as possible. Our staff will do everything necessary to get you reimbursed for the treatment provided. Our insurance coordinator deals with many insurance companies and will fill out and submit forms for our patients. Our office will submit all your claims electronically, which expedites your reimbursement much faster. Many insurance companies will not give out reimbursement fees until after treatment is completed. If you have any question please call any time and we are here to help you with any financial concerns you may have. 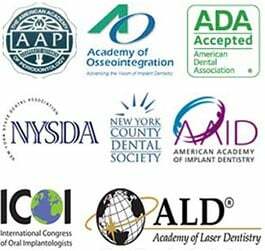 To help make it easy to afford your dental needs we can provide you with affordable financing through Care Credit – a National leader in Financing for Dental Services. Fixed interest rate are as low as 4.9% APR and payments are as low as $125 per month for a $5000 treatment fee. Financing plans are available for people with a wide range of credit history. There are no fees to apply. There are no prepayment penalties. Click here to apply online (page will open in a new window) or call us if you have questions or need assistance with your application. Also, we have affordable financing through Lending Club Financing which offer 0% Interest Financing Available Up to 18 months for General and Cosmetic Procedures. Dr. Rahmani and the staff are happy to answer your questions about payment options and affordable financing. We look forward to meeting you.